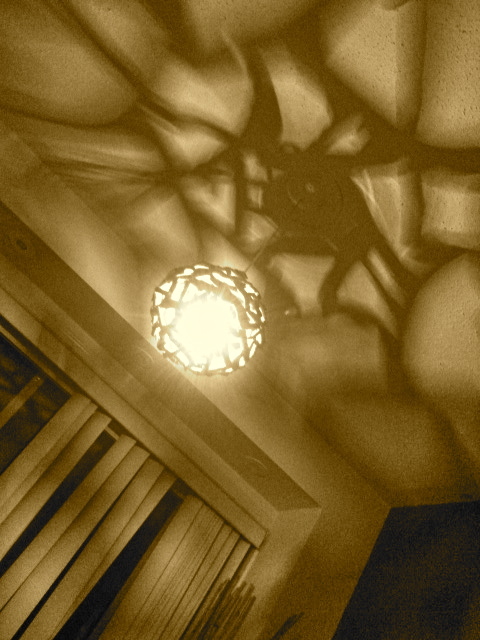 See how easy it is to make your own ceiling lamp. 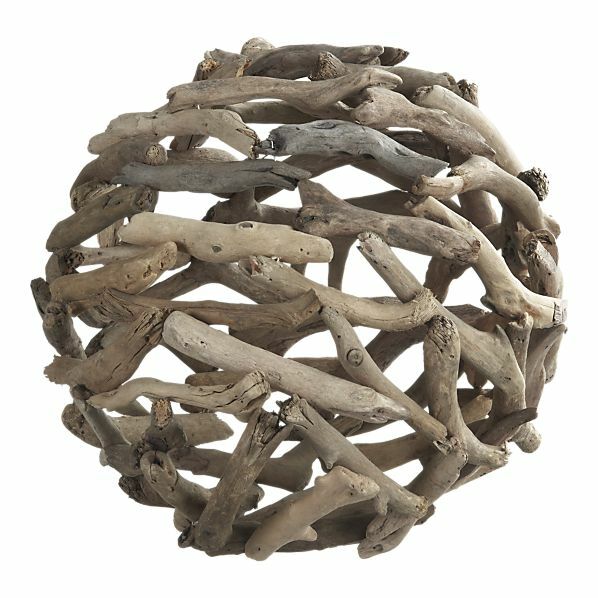 My cousin bought this driftwood ball from Crate & Barrel. Then with the help of a light kit and her amazing husband she turned her den into a play of light and shade!